After the previous year's "Where I'm Coming From" had seen Stevie Wonder starting to broaden his horizons and experiment with different sounds and types of songs, he went the whole hog here and released this entirely self-played album. Wonder took on all the instruments and this was the first of several albums on which he would do the same thing (with just the occasional bits of help). This is still not quite the finished article, though, and, despite its brave intentions, is not as good as the next four albums would be. I have always found it to be a somewhat patchy album, which maybe a tad unfair, considering the dexterity of its implementation. "Love Having You Around" is a lengthy and pulsating, funky cooker of an opener, full of clavinet, bass and pounding drums. "Superwoman" is another extended track, with definite vibes of some of the material on "Fulfillingness' First Finale". It has a real laid-back soulful feel to it. It is what would come to be regarded as typical Stevie Wonder. Half way through it changes pace into its "Where Were You When I Needed You" section. To be honest, the two halves are like two separate songs. "I Love Every Little Thing About You" is a poppy, catchy number that you would imagine would have been a single, but wasn't. Stevie's percussion is intoxicating on this one. 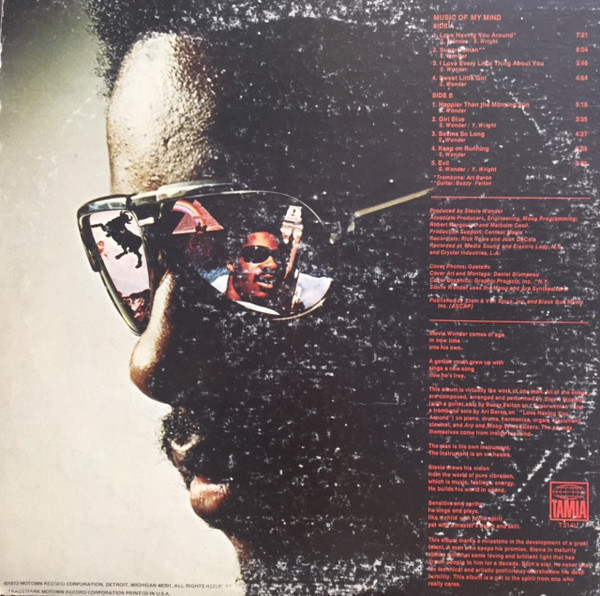 The track "Sweet Little Girl" seems to have attracted a fair amount of criticism over the years but I have always found it quite rousing in its funky beginning, but I have to admit when it goes into the spoken bits it loses something. It does have a reassuring thump to it though. My favourite has always been the melodic "Happier Than The Morning Sun" with its infectious clavinet backing and gentle vocal. "Girl Blue" is a shuffling, rhythmic number and "Seems So Long" is a delicious slice of Wonder sweet, syrupy soul sung over some equally appealing percussion. "Keep On Running" brings back the funk, big time, with probably the album's funkiest cut, with backing vocalist helping Stevie out. "Evil" is a slow tempo, low key closer to this adventurous, and, to a certain extent, ground-breaking album. 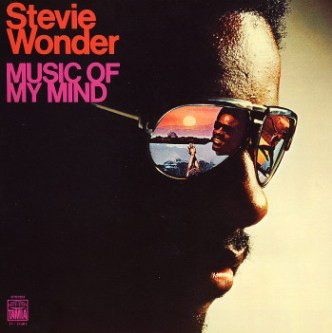 Despite is grand intentions, however, there was much better to come from Stevie Wonder in the next five years.